If you’re an avid Black Mirror fan like me, you’ve probably already re-watched Bandersnatch ten times to get every single possible ending. But, if you are among the innocent who have not fallen into the hole that is Black Mirror, you may be confused about the thousands of Bandersnatch memes and articles that have been spreading across various social medias. If you have not watched Bandersnatch yet, I will not be providing any specific spoilers to the plot-lines, but I will describe my reaction to certain components of the episode, so beware. First, what is Bandersnatch? Netflix has been advertising Bandersnatch as “A Netflix interactive film.” This interactive film is the first of its kind. At first, I was confused about how this interactive aspect would even work, but it is surprisingly simple, and debatably effective. Whenever the main character, Stefan, has to make a decision, two options appear on the bottom of the screen. The viewer has around ten seconds to select the option they want, whether it is by selecting it with their remote control or clicking on the computer. The scene then blends seamlessly to the option that the viewer chose, making it seem like that was the natural pathway all along. There is no abrupt pause, or black screen while the scene is loading, making the interactive aspect much more convincing. Because of the interactive choices every few minutes, there are an infinite number of unique paths that the viewer can take to get to one of five “endings” to the film. Overall, there is 312 minutes, or almost 5 hours, of footage embedded into the film if the viewer were to take the longest path possible. The average watch-time though, is around an hour and a half. In my opinion, what makes this film so successful is just the excitement of how every viewer’s experience can be so different. After watching Bandersnatch for the first time, I found myself scouring Twitter and Google to see what other people thought of the film, or what ending they received. I just wanted to talk to people about what happened to my Stefan, and how it compared to their Stefan. I will get into this next, but I think the true success of Bandersnatch comes from the pure innovation of it, not necessarily the execution and storyline. Bandersnatch focuses on Stefan, a young game designer living with his father in 1984. Stefan is working on creating a video game called Bandersnatch, based after the fictional book of the same name. Bandersnatch, the book, is a choose your own adventure book, which is Stefan’s goal for his video game. Not to make the multiple Bandersnatch’s more confusing, but a real life video game called Bandersnatch was almost released in 1984, but then never came out for unknown causes, making this episode all the more eerie. Stefan’s journey begins with him simply having to choose what cereal to eat for breakfast, which eases the viewer into the decision-making aspect of the episode. 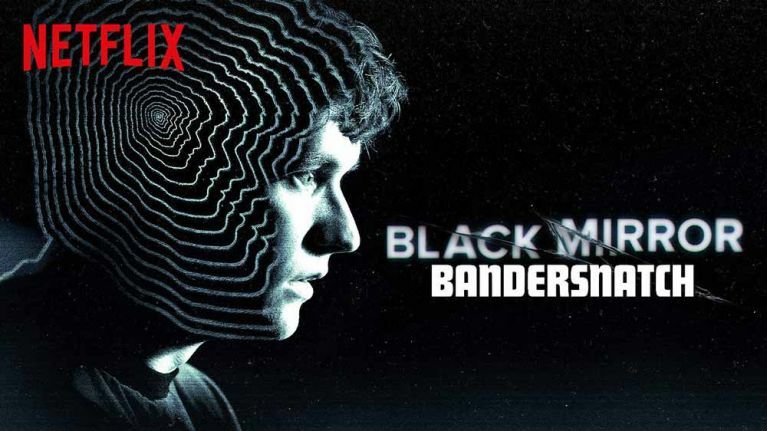 Without giving too much away, let’s just say that after Stefan continues along the path of creating his videogame version of Bandersnatch, the episode takes a much darker turn. So far, I have gotten three of the five “endings,” and they have all been equally as dark in different ways. One aspect I was not a huge fan of in this film was the ability to re-do your decisions. A couple times, if I made a decision that turned out to be “wrong,” Netflix would take me back and allow me to re-make by decision and go along the other path. 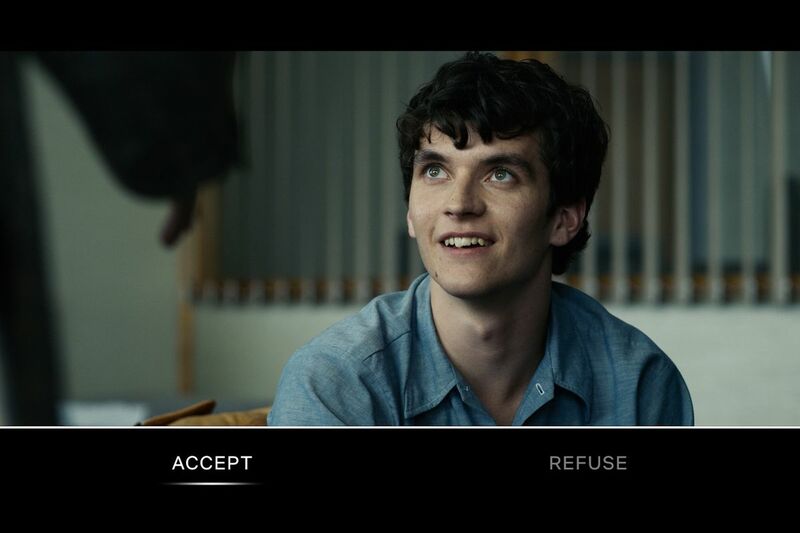 This took away from the “film” aspect of Bandersnatch, and almost made it seem like a game, considering the number of times I got to re-make my decision. Additionally, in the latter half of Bandersnatch, I had to go back and re-do my decisions so many times that I completely lost track of what was happening in the film. I couldn’t even remember what Stefan had actually done at that point, or what had been undone and re-done. Because of this, I felt Bandersnatch didn’t even really have a plot at the end of the film, which made my ending all the more confusing. Despite this drawback, I would still heavily recommend viewing Bandersnatch for yourself, just for the experience. Let’s be honest, even if the plot is not the best, choosing your own adventure is an incredibly neat, innovative feature. Hopefully, Netflix will further develop more CYOA films in the future, just with a little more focus on the actual plot of the film.